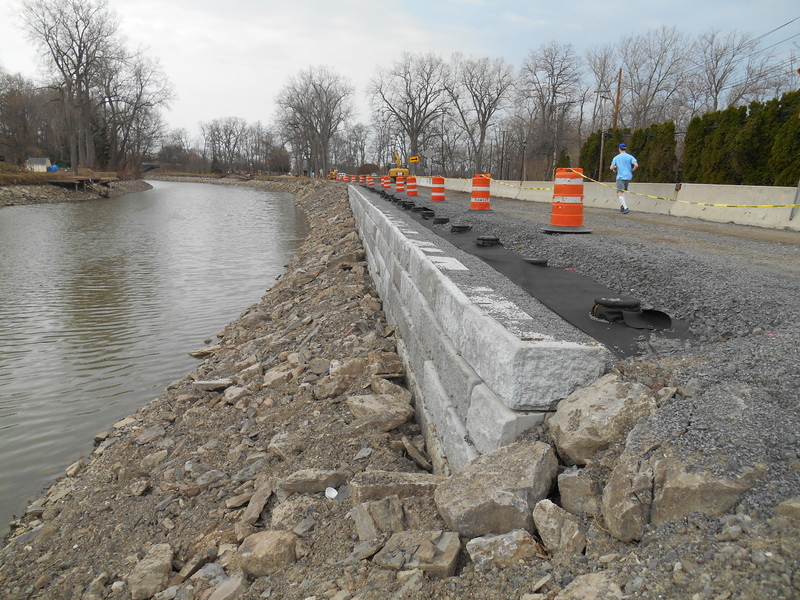 Work continues on the rehabilitation an eight-mile segment of the Erie Canalway Trail from Monroe Avenue in Pittsford to Main Street in Fairport. Upgrades being made on the trail include the rehabilitation of the existing stone dust and asphalt paths, improvements to the drainage and safety infrastructure, as well as the installation of new directional and informational signs. To minimize inconvenience to the public, the project is being completed in phases so that only short segments of the trail are closed at one time. The public is asked to refrain from using portions of the trail marked closed for construction. The project is scheduled to be completed in late 2014. This $2.3 million trail improvement is being administered by the Canal Corporation with funding from the Rebuild and Renew New York Transportation Bond Act that was approved by the voters in 2005. The project is being completed by Ramsey Constructors, Incorporated, from Lakeville, New York.